We may think we have a close relationship with our family and friends, but how well do we really know them, or for that matter how well do we even know ourselves? What would we do if we found out that a loved one plans to commit suicide after wishing us good-night? These are the questions explored in the latest production by UAE-based Orb Theatricals, Night, Mother. The play, written by Marsha Norman in 1981 tells a poignant story about depression and its tragic consequences. It won a Pulitzer for best drama in 1983 and was made into a film in 1986 starring Anne Bancroft and Sissy Spacek. The story revolves around a mother and daughter — Thelma and Jessie Cates — living a mundane life in the countryside. It opens with Jessie, a divorced single mother announcing to her ageing mother that she intends to shoot herself that night. 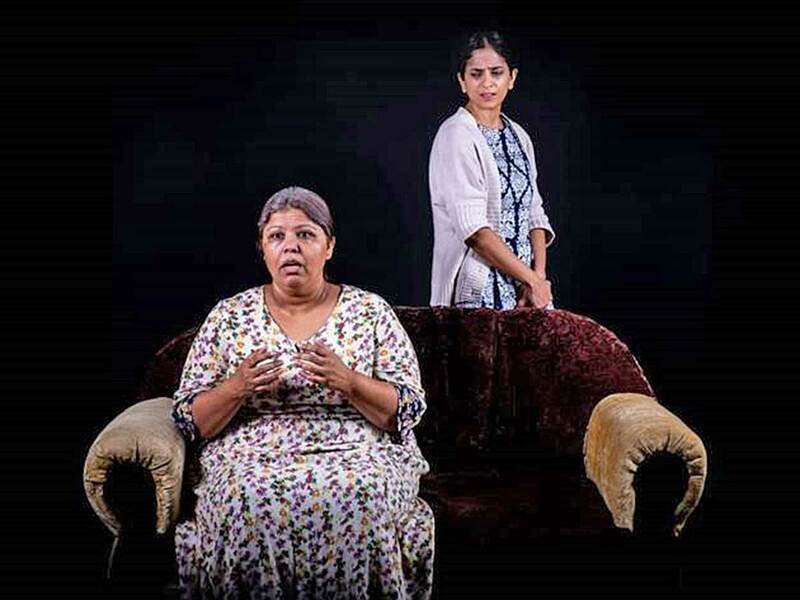 She then proceeds to find a gun and calmly make the necessary arrangements for her mother to manage on her own, while Thelma tries everything, she can think of to change her daughter’s mind. The strange situation leads to the mother and daughter sharing their feelings honestly, talking about things they have avoided discussing and genuinely listening to each other, perhaps for the first time ever. Their conversation delves into the tensions, insecurities, unhappiness and uncertainties lying suppressed inside them and reveals their different approaches to dealing with adversity and life in general. The intense interaction between them draws the audience into their inner world and keeps it guessing about how the story will end. The homegrown production is directed by Sabiha Majgaonkar, founder and artistic head of Orb Theatricals, who also plays the mother. Majgaonkar has been involved with the local theatre scene for over two decades as an actor, director and writer and has won awards for her work. “I chose this play because I loved the intense script, the small all-woman cast and the fact that it is just one hour long. It deals with the subject of mental health, which is relevant today and needs to be discussed openly. It is a challenging play to direct and enact, and the story is so emotional that for the first time in my career the tears come naturally while saying my dialogues,” she says. 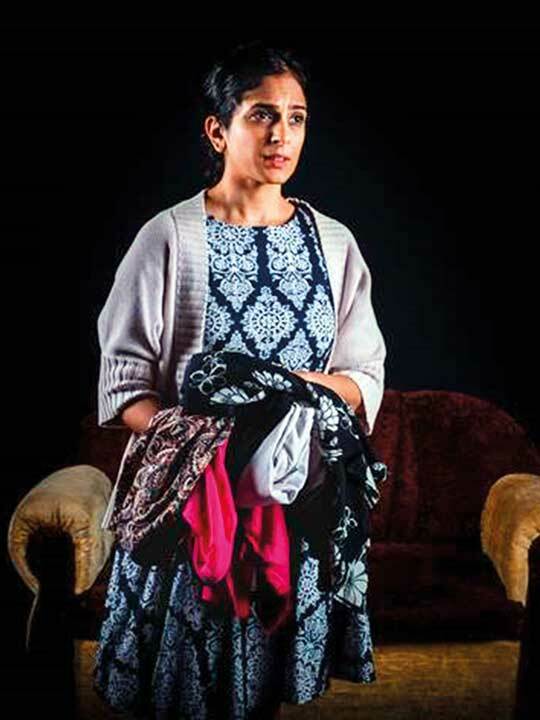 Meghana Mundkur, who plays the troubled daughter has been involved with theatre since she was 10 thanks to her actor parents. She directed her first full length play last year and has recently founded a theatre company called South Parade. She works as a radio presenter, and says that listening to sad, intense songs before the rehearsals puts her in the right mood for this emotionally demanding role. “What I like about this play is that it talks about loneliness, depression and the complexities of mental health in a simple yet powerful way. It conveys the message that we should be careful how we treat the people around us, listen to them and try to understand what they are going through,” she says. The play’s assistant director, Sikander Hemani grew up in the UAE and has been involved with theatre and film-making since his school days. He is an engineer by profession and co-founded a local group that makes independent short films. “It is a great learning experience for me to assist an experienced theatre professional like Sabiha. Since she is on stage, it is my responsibility to keep an eye on the details and to make sure that the connection between the actors and the audience is maintained throughout the performance,” he says. Elsewhere in Alserkal Avenue, Iraqi-British artist Heitham Adjina’s first solo show in Dubai, Architecture of Being, is also about exploring the inner world. Adjina is a well-known architect and over the last five decades he has worked on important architectural projects in Iraq, UK, Kuwait and the UAE. In his philosophical paintings he beautifully blends the structures that make up our external world with the emotional space of our inner universe. His abstract, allegorical artworks contemplate themes such as the meaning of life, love, relationships, hope, despair, time and the human condition. “I have been painting since childhood, so I was an artist long before I became an architect. But going to London at the age of 17 to study architecture gave me the opportunity to visit many museums and galleries, which helped me to develop as an artist. My paintings are about life and human emotions and I want my work to be thought-provoking,” Adjina says. The exhibition, curated by Rebecca Anne Proctor, features a selection of more than 30 paintings on canvas created by the artist over the last two decades. Adjina has used a variety of bold and vibrant colours to create aesthetic compositions that juxtapose geometric architectural forms and solid structures with abstracted figures and the fluid meanderings of human consciousness. He has used his experience of architectural drawing to create a three- dimensional perspective in his work. Each painting tells a story and the titles indicate the ideas and emotions the artist wishes to express and explore. A painting titled, The Captor and his Captives, shows a bird flying outside a cage in which are trapped many human figures. The work invites viewers to contemplate the possibility of a familiar situation being reversed, or perhaps to think about the people, situations, thoughts, feelings and attitudes that bind and restrict us or could set us free. The Full Story depicts a person carrying his memories, experiences and the story of the journey of his life, while in turn being carried by a larger, powerful figure standing in the shadows behind. The same spirituality is expressed in Towards Eternity, which depicts a couple walking through many doorways, their tiny white figures trailed by long dark shadows. “Nobody knows what happens beyond that ultimate door, but we certainly leave behind shadows that are much bigger than we are,” Adjina says. The artist often uses symbols such as the moon and a window in his paintings. In a composition titled Choices, a figure is surrounded by windows of various sizes and colours. “Some people have the good fortune to make their own choices in life, whereas some people are born with no choices. Through my work I want to offer something that will enable people to transcend the obstacles in their lives and contemplate the beauty of existence,” he says. Night, Mother will be staged at The Junction in Alserkal Avenue on April 26 at 7pm; and April 27 at 11am and 7pm. Tickets are available at Platinumlist.net and The Junction. Architecture of Being will run at Showcase Gallery, Alserkal Avenue, until May 12.